We all need a place where we belong, where our talents and skills are nurtured and encouraged, where we can make friends, share our skills, and find that our lives have meaning and purpose. that place is St. Madeleine Sophie’s Center. For 50 years . 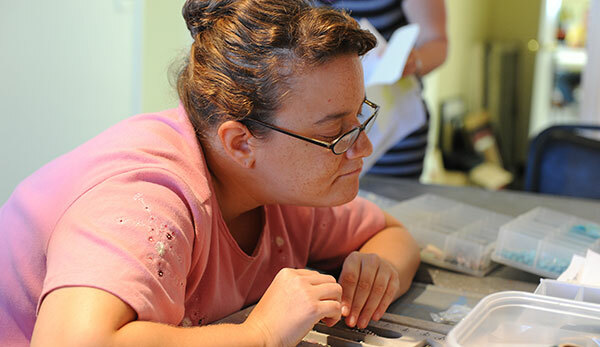 . .
St. Madeleine Sophie’s Center (SMSC) has helped people with developmental disabilities, their families and communities, discover, explore, and nurture potential – giving thousands a chance to live life to the fullest. The Center truly provides a “Life Program” that allows students to learn and grow, and enjoy friendships and social activities throughout their lives. Students come to SMSC’s five-acre campus in the foothills of El Cajon, California, daily to learn or upgrade marketable skills, develop creative outlets, earn an income, make new friends, and gain a sense of independence and self esteem. This “Life Program” includes recent high-school graduates to seniors in their 80s.